Fundamental differences have graced the relationships between the girls and the boys mostly built into female DNA that girls find a reason to disagree and get pretty nasty about it when they do. Take the Lexi and Iris standoff, the Thando and Lexi debacle, Lola loosing it; girls might just want to have fun but they can’t help themselves from getting down right mean given half the chance. The boys on the contrary are far more relaxed in comparison, MK found kismet with Emmett when he sauntered into the House last Sunday, Emmett even went as far as to take MK for a pamper session last Saturday. 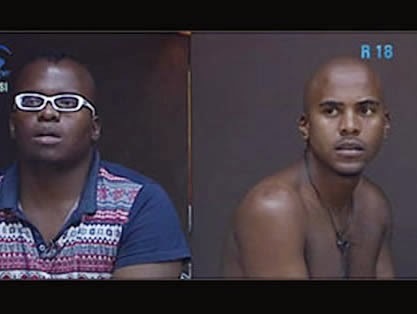 Sol and Mandla have found solace in each other’s company and Poolie and Jase wasted no time getting to know each other; these boys have each other’s backs, kind of, but the differentiating factor between the genders is that with the guys, it’s not personal. Ever stopped to think why this is? Ever since the dawn of creation, it has been an undisputed fact; men and women have completely different characters. Where men will say exactly what they feel and think, women have a tendency to skirt around issues, anything after this will come across as loaded; this is probably because men are inevitably less worried about the repercussions of what they say, which could also be the reason women think that men don’t stop to think before they speak. But listen up ladies, their approach although it may appear course, is far more likely to detonate a bomb with the least amount of damage. These psycho dynamics have played out in the house in gender stereotypical form and we have watched it happen over 56 days. However, for all women’s cattiness and loaded jibes, they are fiercely loyal to their fellow ladies and once you’re in the inner circle, you can bet your bottom dollar that the girl’s got your back, no matter what.